Here, we are happy to present, the best in travel as recommended by our discerning Weekender readers. 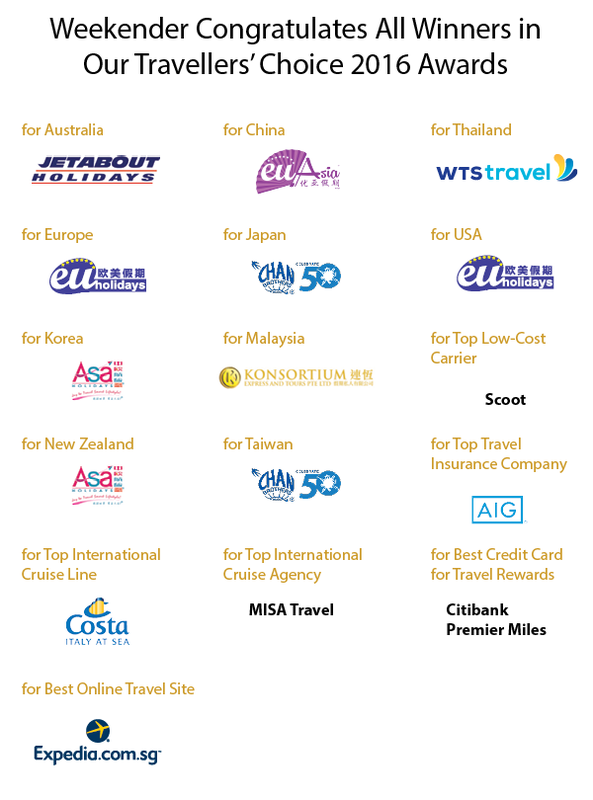 We begin by giving recognition to these top travel agencies in Singapore, for their excellence in service as well as their quality in itineraries for the respective countries and destinations. Apart from the winning travel agencies, we have come up with a guide for travellers on some of the best sights and experiences to be found in destinations around the world, some recently trending, for readers who have yet to travel to these places or who may not have completely explored the various interesting sights and sounds in that land. 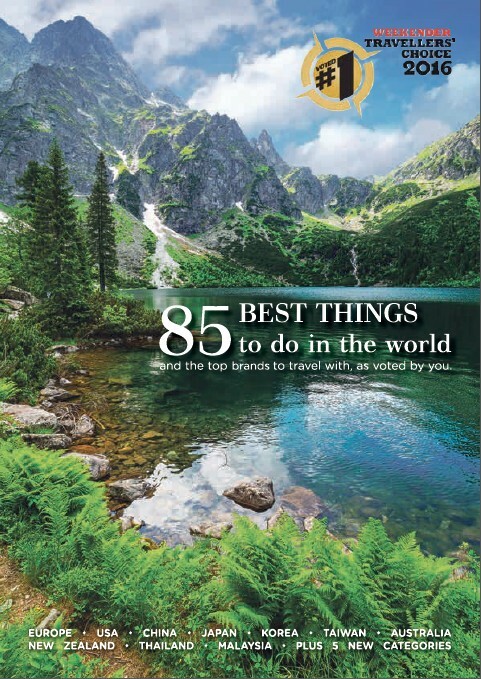 We hope that you enjoy our Weekender Travellers’ Choice 2016 supplement, and use it as a guide to plan your next travel itineraries. To much more fun and happiness with our families and loved ones!